University College London required a series of tools and courses for students and staff on a range of subjects such as Diversity and Inclusion, GDPR, Safeguarding and Performance Management. The technical challenge for us was to provide them with their own branded LMS that allowed for single sign-on capabilities that integrated with their current system. Not only this, but they would also need to be able to track learner uptake and scores to get a full picture of completion rates and scores. 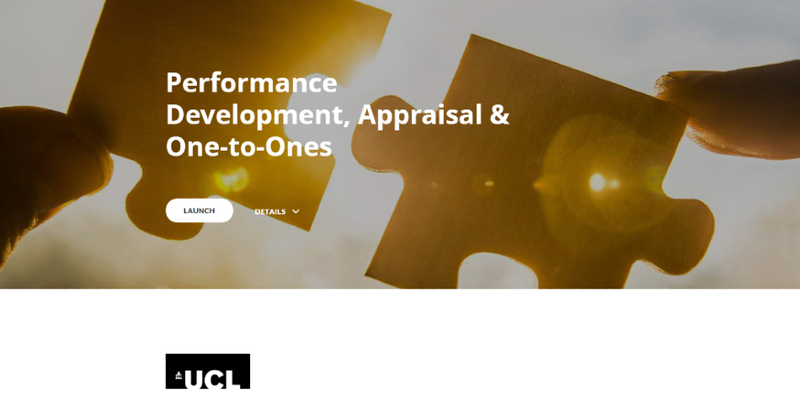 UCL has been a client since 2004, so we were happy to collaborate with them again on a bespoke technical solution that integrated seamlessly into their existing student and staff portals. Our first step was to take an in-depth look at their existing systems and security requirements. Once this had been completed, we worked alongside their IT systems staff to produce two versions of the Marshall Learning Management System – one for staff and the other for students. “I would like to express my thanks to you, and your team for the work that you have done to produce and support UCL’s GDPR Online training. In Particular, the development of the accessible versions. Five of our visually impaired staff have used the PDF version to date, and all have said that it was very well developed and were pleased that they had been able to do the training in this manner. Furthermore, the audio version has gone down a storm.